Victory not gloom and doom! Understanding the Book of Revelation for Today The Book of Revelation is not a book of doom and gloom but rather the story of victory of the Lamb of God and those who follow Him. In this third book in a groundbreaking series, Dr. Richard Booker explains John's vision within its original historical, literary, and biblical context. 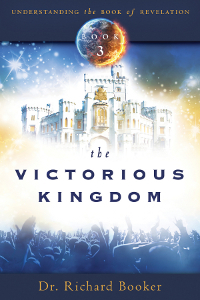 Volume 3 - The Victorious Kingdom.